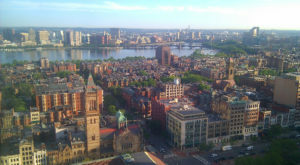 The start of the 20th century was an era of change and innovation in Boston. 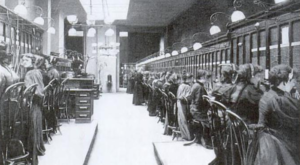 In 1901, the first section of the Orange Line opened, and King Gillette invented the first disposable safety razor. 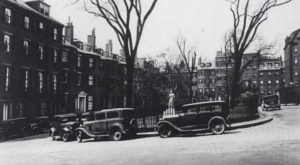 Two years later, the Boston Police Department used a vehicle as the first ever police cruiser – driven by a chauffeur! 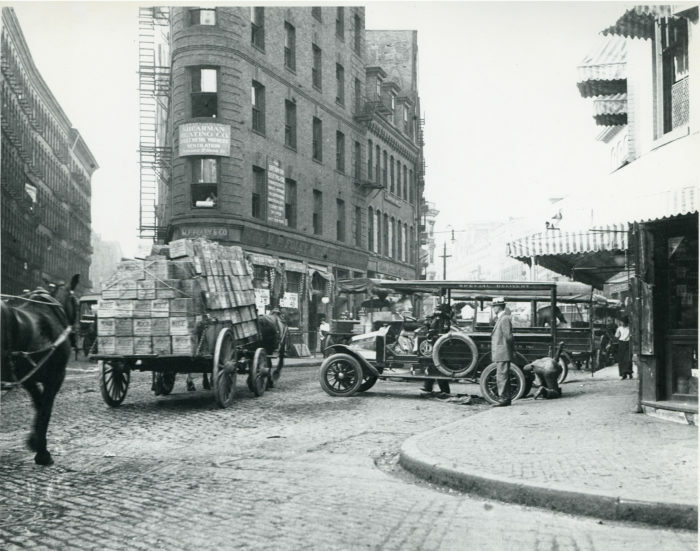 In 1908, the North Avenue Bridge was completed and the first pizzeria opened on Prince Street in the North End. And, for the coup de grace, Filene’s opened its Automatic Bargain Basement under the existing department store! 1. 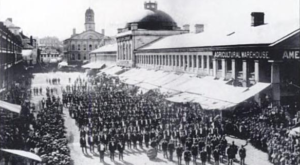 This image shows Dock Square at the start of the 20th century. Dock Square used to be on the waterfront – hence the name. However, after the area was filled in, this was no longer the case. 2. 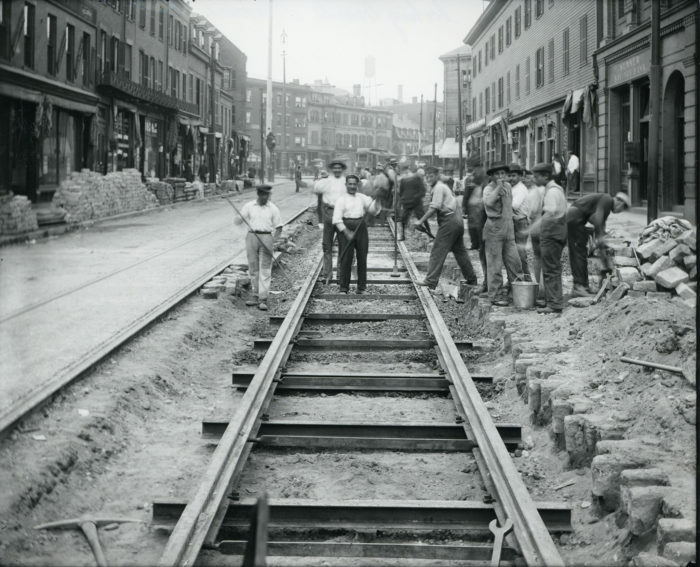 Workers laying tracks in East Boston sometime between 1900 and 1904. 3. 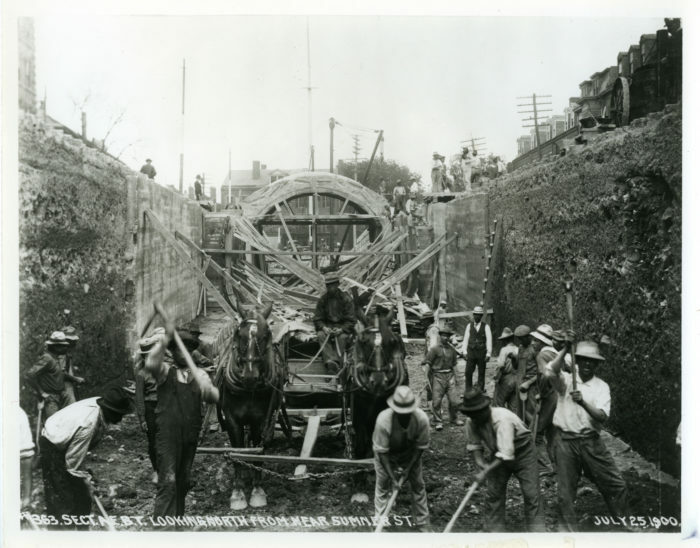 The East Boston Subway Tunnel was being constructed in this photo taken in 1900. 4. 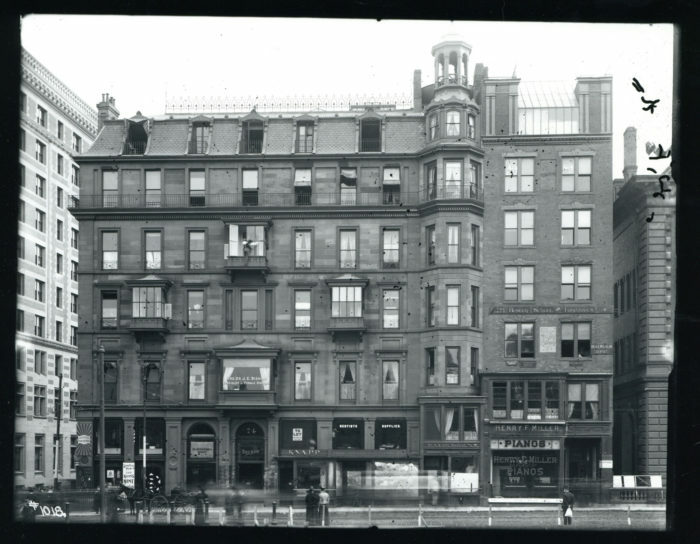 Hotel Pelham, built in 1857, once stood at the intersection of Boylston and Tremont Streets, near the Common. 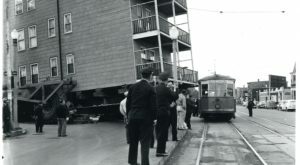 It was an early version of an extended stay hotel. Hotel Pelham was knocked down in 1916, but this is what it looked like around 1900. 5. 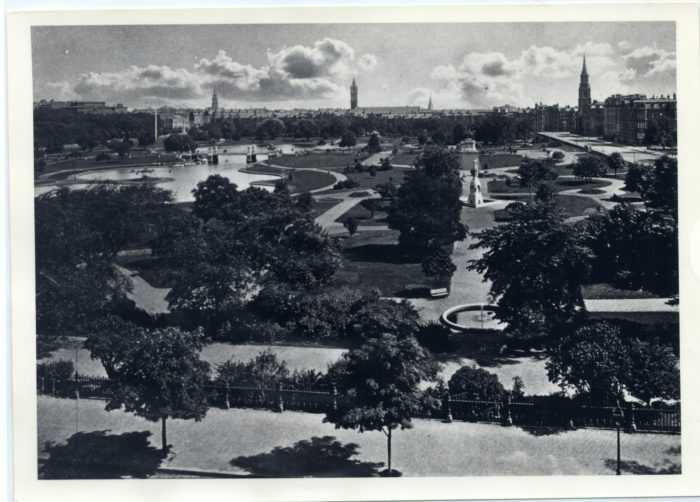 This image depicts the Public Garden at the start of the 20th century. Can you spot the suspension bridge to the rear left of the shot? 6. 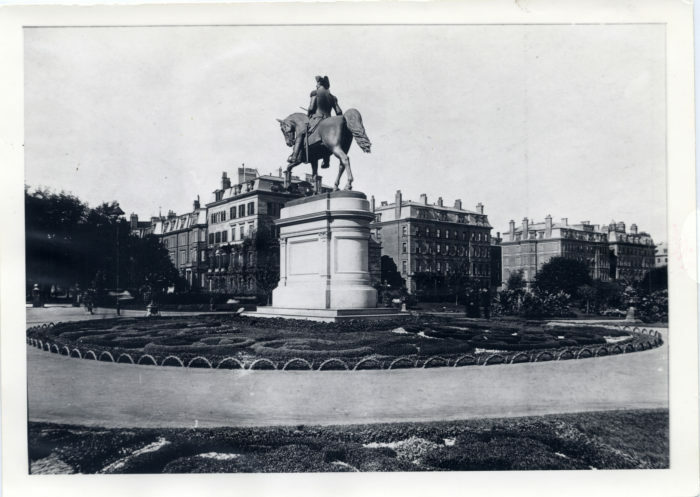 The George Washington statue standing tall over the Public Garden, just as it does today. 7. 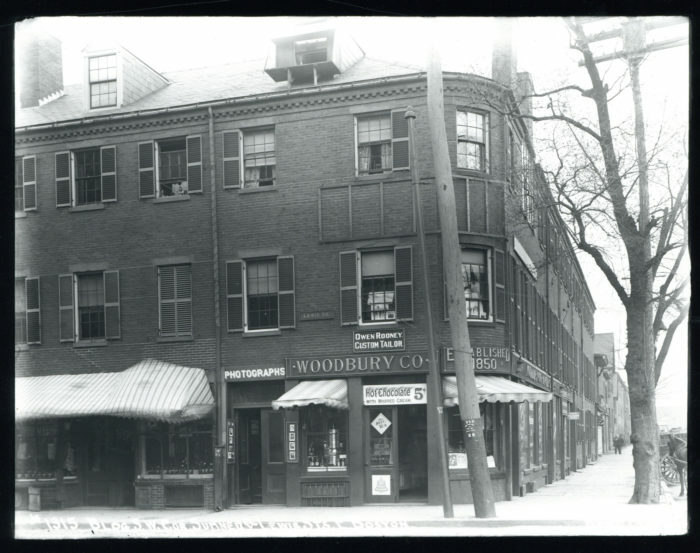 Taken around 1900, we can see that a tailor’s shop and photography studio once occupied the corner of Sumner and Lewis Streets in Eastie. It looks pretty different today. 8. 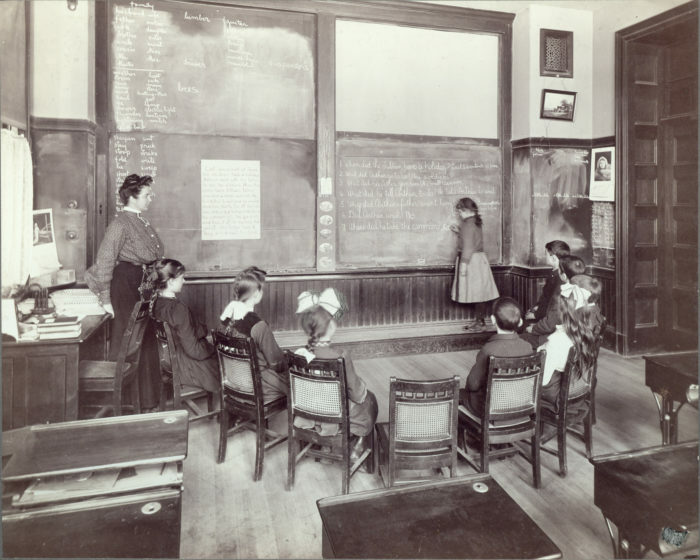 This photo, taken at Horace Mann School for the Deaf between 1890 and 1900, gives us an idea of what school was like for children at the time. 9. 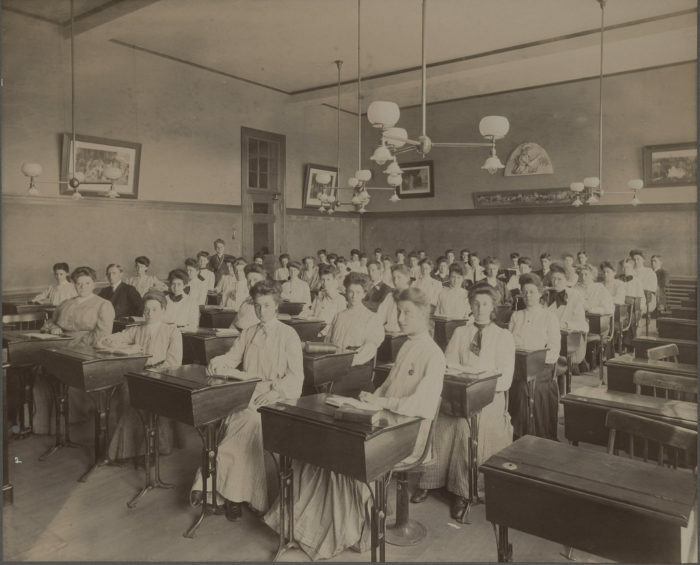 And as for high school… Welcome to Dorchester High School, circa 1901. The hair and fashion of the time make these students seem more mature – at least to the modern eye – but we’re looking at teenagers. 10. 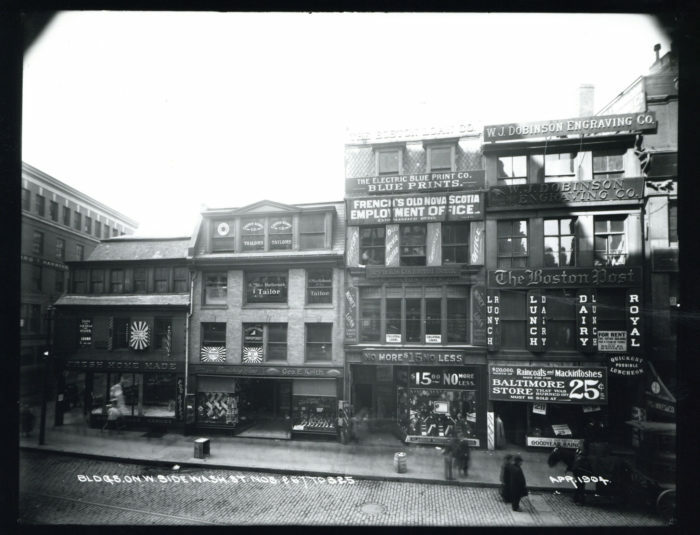 In 1904, The Boston Post, an engraving company, and a tailor all occupied these buildings between 825 and 867 Washington Street. The Boston Post, was a daily newspaper that went out of business in 1956. According to the ad on this shop, raincoat inventory from the burned out Baltimore store was on sale for 25 cents. 11. 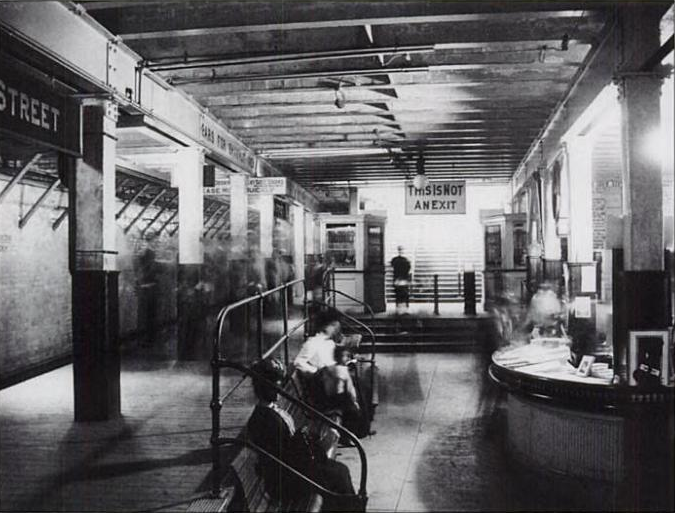 Commuters at the Park Street station in 1901. Wonder if the train was on time? 12. 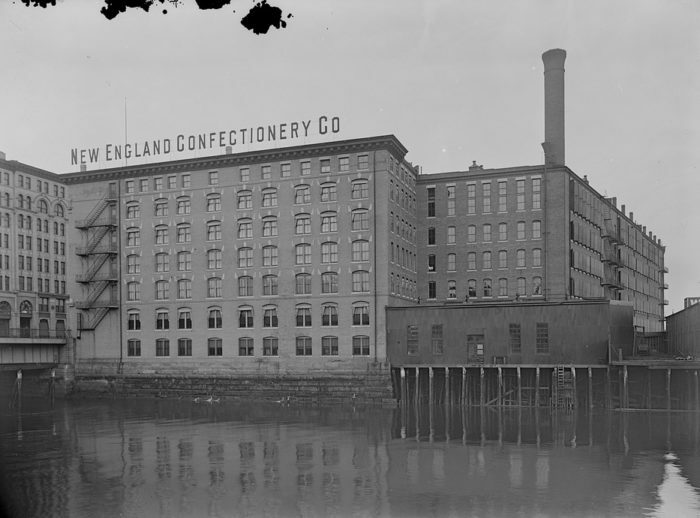 The old Necco building, captured at some point between 1902 and 1907. 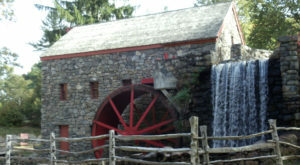 This manufacturing plant was new at the time. 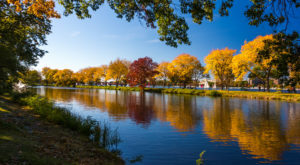 Which of these images is your favorite? Let us know in the comments below! 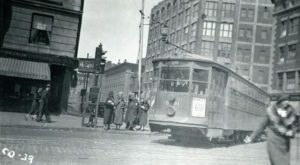 If Boston’s history intrigues you, be sure to check out these Depression-era photos of our city, too.